Earlier today, we reported that Nokia could re-enter the Indian market in two ways: price the devices competitively and dethrone Chinese brands or price them steeply only to impress the Nokia brand loyalists. And now, a new report claims that the company is planning to opt for the second choice. According to a report from TechPP, HMD Global will price the Nokia 6 under Rs. 20,000, which would be an insane price tag as it has a mediocre chip. Other Nokia devices will also be priced on the higher side of the spectrum. The Nokia 5 will be priced below Rs. 15,000 and the Nokia 3 below Rs. 10,000. The iconic Nokia 3310 will be priced somewhere around Rs. 4,000. HMD Global, yesterday showcased all the Nokia phones at an event in New Delhi and revealed that they would hit the Indian market next month. It maintained silence regarding the pricing details, though. HMD also said that they are not going to launch devices with heavy specs on paper. Instead, the company will focus on other aspects such as camera, battery life, and especially design language. Going by the report, if HMD prices the Nokia 6 above Rs. 15,000, only the brand enthusiasts will be interested in purchasing it. For the uninitiated, the Nokia 6 has an entry-level Snapdragon 430 chip powering it, which is seen on smartphones such as Xiaomi Redmi 3s, Lenovo K6 Power, and Lenovo K6 Note (exclusive for offline market). However, the rest of the specs of Nokia 6 are on par with other mid-range devices. It has a 5.5-inch Full HD display, 4GB of RAM, 16MP rear camera, 8MP front-facing camera, and a 3000mAh battery. The Nokia 5 also has similar specs as the Nokia 6, but the display resolution is limited to 720p, and it has just 2GB of RAM. Clearly, the rumoured price tag is insanely high. And the Nokia 3, which is powered by a MediaTek MT6737 SoC is speculated to be priced at Rs. 10,000. That’s undeniably an overpriced product. 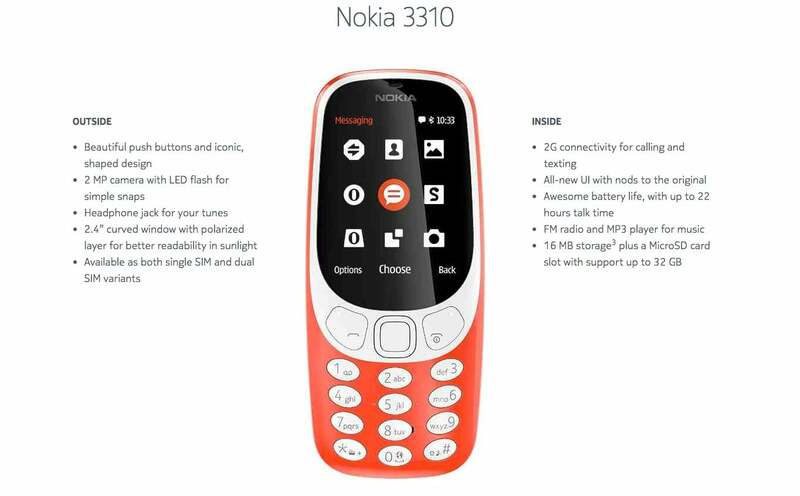 Finally, the iconic Nokia 3310, which was listed for Rs. 3899 earlier this month is now said to have the same price tag. The connectivity option on the phone is limited just to 2G, but several people could purchase it considering the nostalgic factor. That said, HMD Global may sell the devices offline as well, which may be the reason why the phones are rumoured to be priced on the higher side. The phones will hit the market in June, but the launch dates are not yet known.